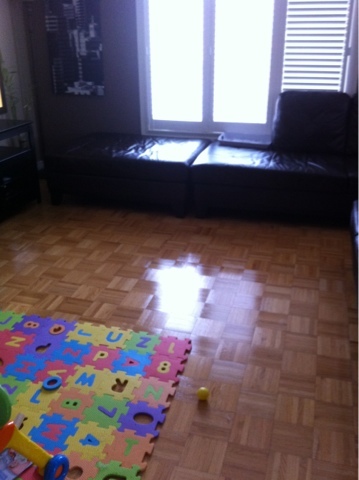 Baby K is just all over the place these days so yesterday we moved the ottoman out of the way for him to have more space and throw around his toys ha! 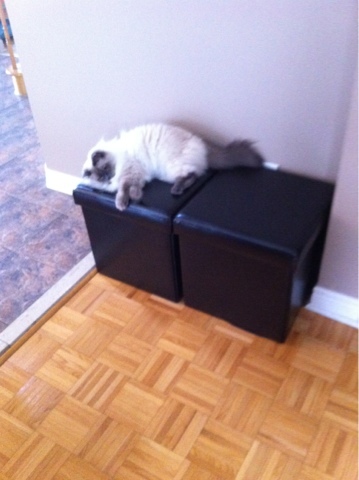 I also got 2 storage ottomans for his toys. 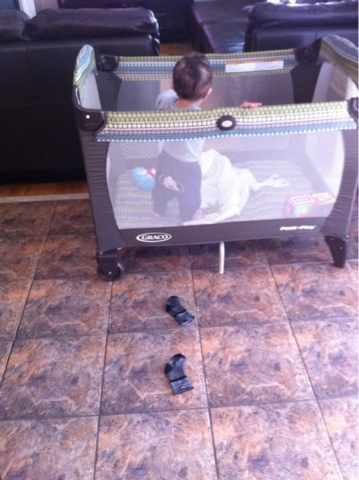 I still love using the playpen especially when I need to cook. He still loves to play in it so I'll keep it around for a little while more. 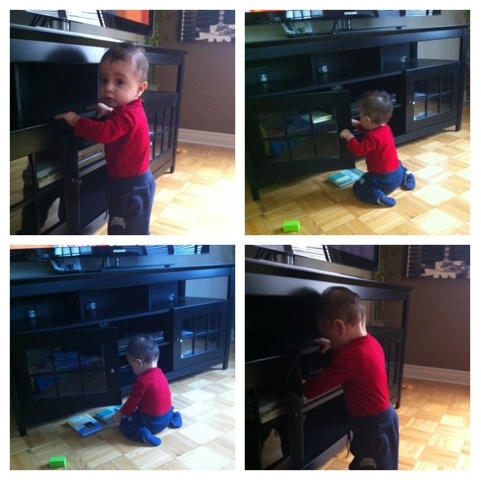 In 4 days my little boy will be 1 ! 1 !!!!!! 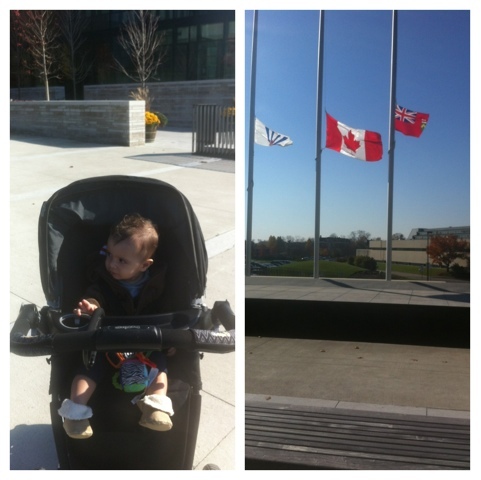 Today was a beautiful day and we had to stop by city hall for a bit this afternoon. It's a beautiful warm fall day which so we took advantage staying out this afternoon before nap time!